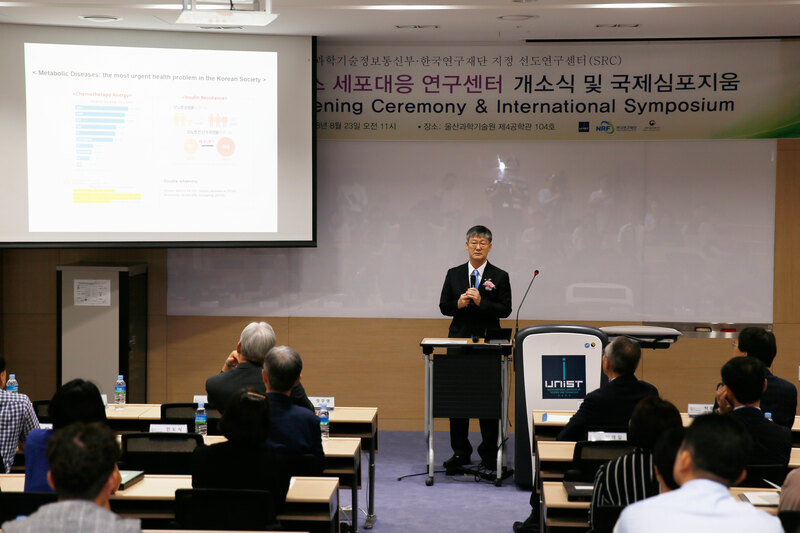 UNIST held a grand opening ceremony of Cellular Responses to Metabolic Stress Research Center (CRMSRC) at UNIST on August 23, 2018. On August 23, UNIST held a grand opening ceremony of Cellular Responses to Metabolic Stress Research Center. The Cellular Responses to Metabolic Stress Research Center has been selected as the ‘2018 Advanced Research Center Program’, funded by the Korean Ministry of Science and ICT and the National Research Foundation of Korea (NRF). 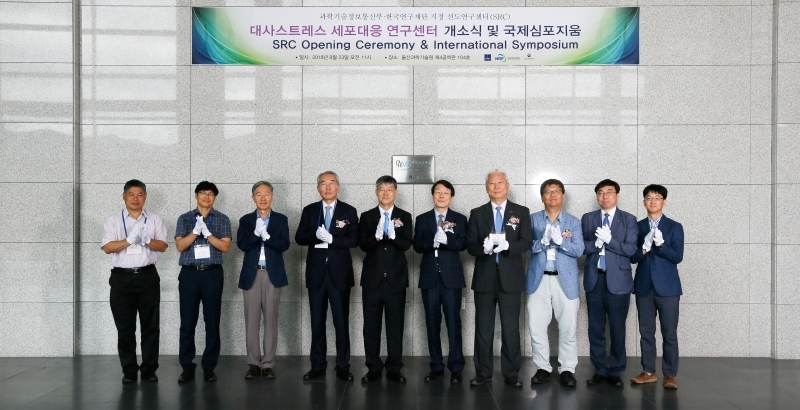 The center has been also selected as a Science Research Center (SRC) in June of this year, securing the funding of KRW 10.5 billion for the next seven years. Professor Hyug Moo Kwon who serve concurrently as director of CRMSRC, is presenting the future research plans of CRMSRC. CRMSRC conducts research focusing on ‘intercellular countermeasures’, ‘intercellular countermeasures’, and ‘systems biology’. These include intercellular and intercellular response associations, anticancer drug-free and insulin resistance mechanisms, metabolism, proteomics, endocrine analysis, intracellular pathway network analysis, and intercellular signal network analysis. 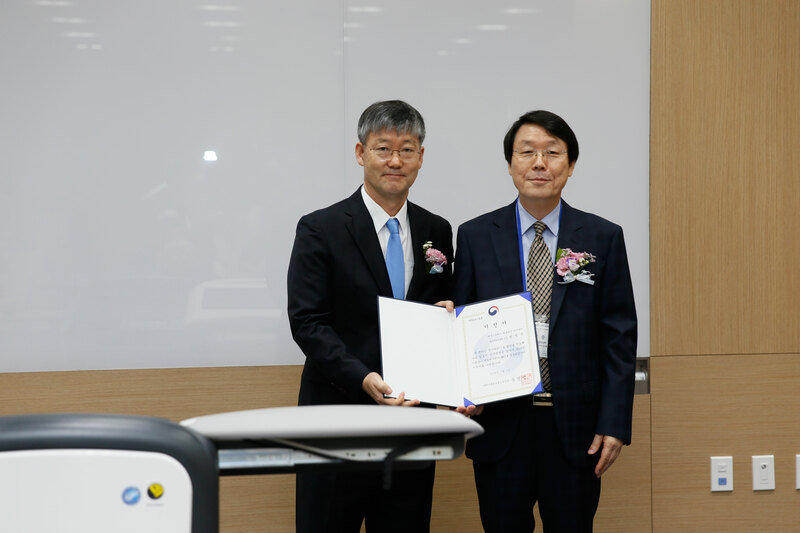 Director Joong Kon Park in the Division of Engineering at NRF delivered a certificate of SRC reserach center to Director Hyug Moo Kwon of CRMSRC. 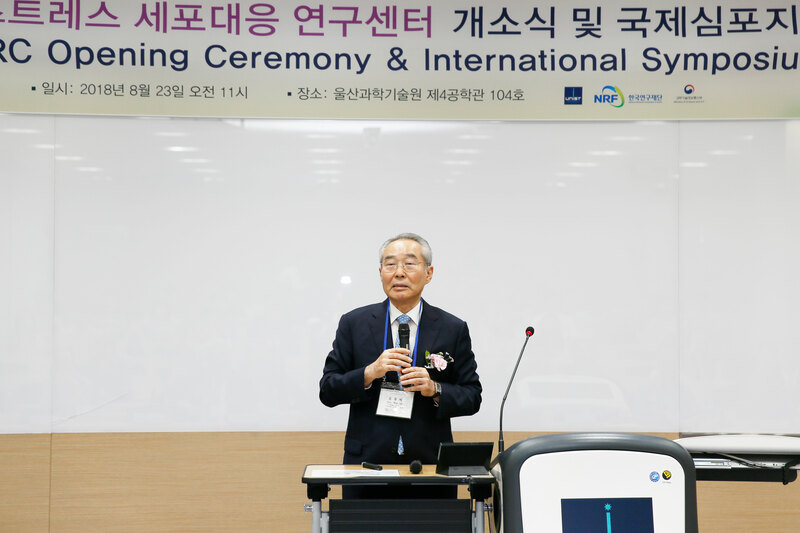 “With the help of this center, UNIST will lay the groundwork for the delivery of new medical treatments for incurable diseases,” says President Mooyoung Jung of UNIST. Dr. Moo Je Cho, former president of UNIST was invited to deliver a special lecture at the international symposium on metabolic stress research.